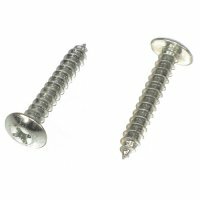 #10 - 1 1/2 Phillips Truss Head Sheet Metal Self Tapping Screws (Zinc-Plated Steel) are designed with sharp cutting threads to create threading while being installed. Unlike self drilling (Tek) screws, however, a pilot hole is needed to start the drilling process. 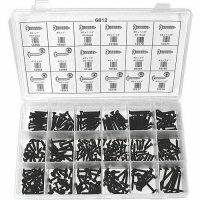 Tapping screws are used in just about any material, especially sheet metal, wood, and plastic applications. 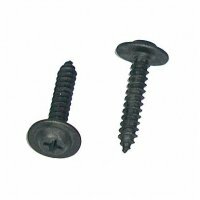 Truss Head screws have a rounded top, semi-flat top and a large flat bearing surface that offers a greater amount of holding power than most other screw heads. A Truss Head can be used in situations that require covering an adjustment hole or when thin material is being attached.